Lean towards Skinny! Low Calories, Low Sugar, Low Fat has never tasted so sweet. Skip the ice cream and indulge in these delicious and totally satisfying Skinny Frappes from Caffe D'Amore. 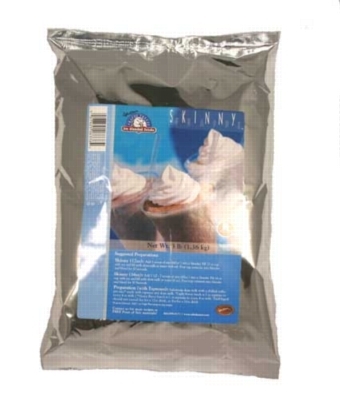 Enjoy delicious mocha flavor in a 3 lb. bulk bag. Contains milk. Made on equipment shared with soy.